might crudely be referred to as the double-consciousness of Eve. as she is now both *with* Adam and *below* him, both there and not. "imparadis't in each other's arms." > Weirdly, her left hand appears unfinished. >> emotional subjection that Adam confesses and Raphael warns against. 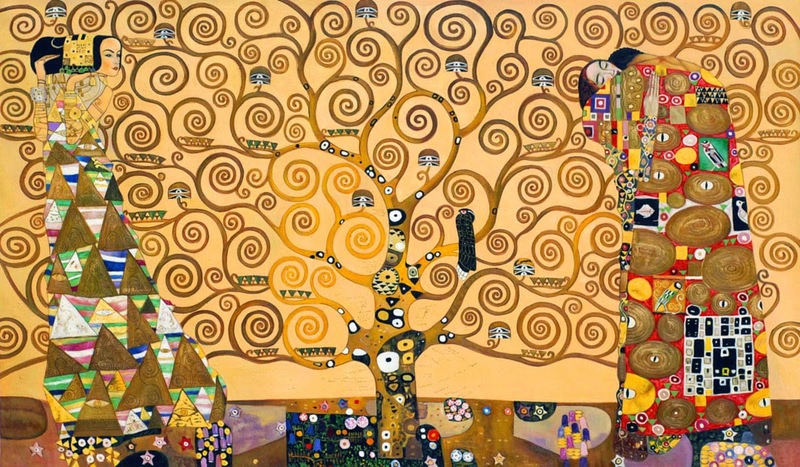 >> I don't recall any other blondes in the Klimt oeuvre.